‘Single case decision-making is at the heart of national systems of public law, in Europe and elsewhere’, states the Introduction on Book III of the ReNEUAL Model Rules dealing with this subject. 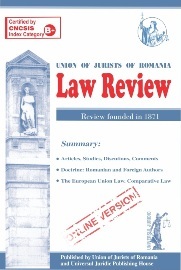 Some countries have adopted legislation on administrative procedures, others considered the general principles of law and jurisprudence as guiding milestones, even in a continental system of law. This approach may prove obsolete in times where private persons are more and more confronted with decisions of the administrative bodies, not only at a national level, but at the European one as well. another person, the burden of proof and the privilege against self-incrimination in investigative procedures, the withdrawal/revocation of the single-case decisions, are discussed from a human rights perspective. A comparison is made, regarding such matters, with administrative procedure rules in European countries, looking for convergence points and differences.